Have you ever wondered what attracts us to certain colors? Maybe even more interesting is what draws us to a particular hue. Why does one person choose royal blue and another sky blue? Or perhaps it’s emerald green over lime green. Different colors, shades, and tints evoke different responses. In exploring color, we were delighted by nature’s sense of humor. One would think that beautiful lilacs would tinge things purple, pink, or blue. In fact, lilacs dye fabric yellow/orange. Or how about pomegranates? Would you think their skins could dye fabric anywhere from orange to khaki green? Tell that to your bright red fingers next time you eat the fruit’s delicious seeds. Maine Island Soap is proud to offer our handmade soaps free of synthetic fragrances or artificial ingredients. The only colors you will find in our bars are those that are naturally infused by the essential oils, organic herbs, spices, clays, and seaweed that we use. We never add synthetic dyes — just pure and natural from the coast of Maine. PS: We would love for all of you who have used our soaps to share how a particular color makes you feel and/or leave a review on our Facebook page if you so choose. Winter winds are whirling all around us – it’s truly wild! We’ve heard tree limbs come thumping down on the roof, listened to the trash cans rolling about, and even wondered if this was how Dorothy felt just before her house took flight. But in our fantasy world, the house would come crashing down on the shores of Frenchman Bay. Then we could just step outside with our shovels and pails to gather pure marine clay for our Clam Flat Clay Soap. Did you know that clays have been used for centuries to draw out toxins from our bodies, especially for oily and acne-prone skin? They are wonderful exfoliants and add almost a silkiness to soaps. To remind your senses that our Clam Flat Clay Soap comes from the Pine Tree State, we add cedarwood, balsam, and lavender essential oils. The perfect mix for men and women alike. If you haven’t tried it yet, take a step into our world, check out our shop, and feel the beneficial effects of this special clay. PS: We would love for all of you who have used our soaps to let us know where your fantasy home would be and/or leave a review on our Facebook page if you so choose. LOS ANGELES, Calif. (December 22nd, 2018) — DPA is hosting its famous pre-Golden Globes luxury gifting lounge at hidden Luxe Sunset Boulevard hotel and will be offering guests amazing new international and luxurious products. The gift lounge will be set up in the Brentwood Suites of the Luxe Sunset Boulevard Hotel and will be opened to guests January 4th and 5th, 2018 from 10am to 8pm. DPA is very excited to present spectacular and unique luxury International brands: Swiss and Zurich based Gela Welsh will introduce in Hollywood her one of a kind couture gowns, which will be available for red carpet appearances. Swiss as well, but made in Milano DeMarquet, will continue gifting major A listers with her night and day gorgeous bags. Ozolinsh will bring soon to be very coveted clutches, that you might notice, the night of the Awards on various stars. Italian Patty Paillette will have a selection of very very unique handmade glasses. Seen in Vogue, In Style and Glamour, Geek Eyewear will also offer unique eyewear and sun wear. Finally, NY Arido jewelry will choose six female stars for their six $100000 exquisite emerald pendants. Diamond Veneer will have a large selection of spectacular pieces to be worn without the stress of being responsible for millions of dollars The two last jewelry lines will have a wellness angle: German Magnetix wellness will have a wide range collection of magnetic jewelry pieces to gift the DPA guests. Canadian Four of fire will present handcrafted crystal gemstone healing trees and gemstone jewelry. 10 well-known stars will get trips to Relais and Chateaux’s Le Taha’a Island Resort and Spa in French Polynesia, five minutes from Bora Bora and Soori Bali, which features one of Bali’s 10 most beautiful swimming pools according to the August 2017 issue of Robb Report, will also pamper 10 selected guests at one of the most exquisite luxurious locations in Bali. 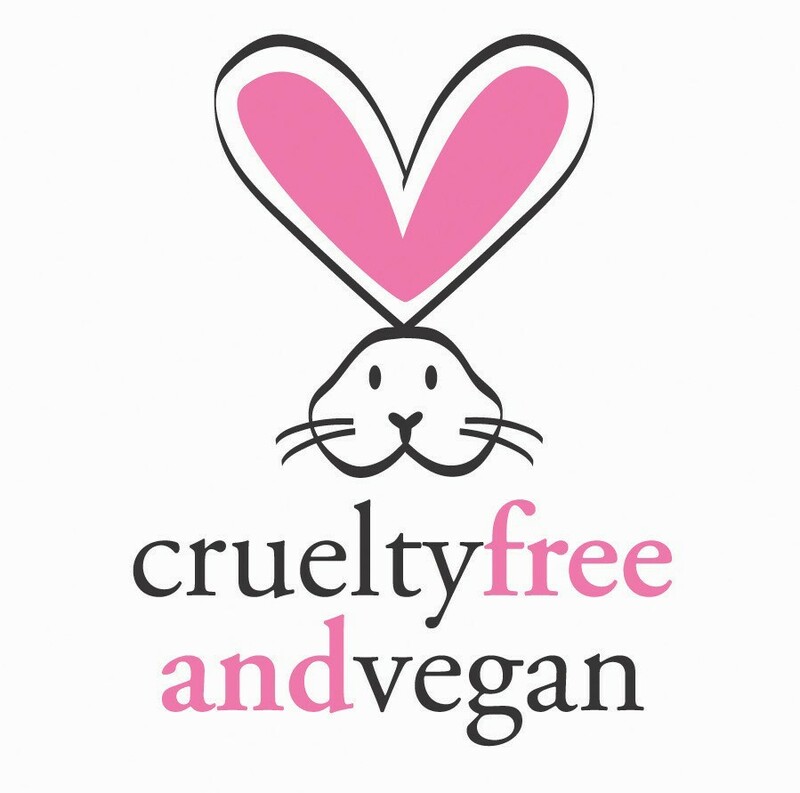 Two companies present in the pre-Golden Globe event like to give back to the society: Malaysian cruelty free and vegan Omorose cosmetics employs lots of persons with disabilities. They recognize that disability is no barrier and what matter most are their skills, knowledge, professionalism and high quality of works. French Krama Heritage supports the organization Pour un sourire d enfant, as well as giving jobs to 50 Cambodians, who work in very controlled and good conditions. The Kramas are a delicate multiuse Cambodian scarf, and stars will have a total choice of different colors. DPA will bring awareness as well on two charitable organizations: Save the children and Girlspact. The lounge is expected to welcome many A-list celebrities including stars from shows or films such as A star is born, Roma, Bohemian Rhapsody, Genius Picasso, The Americans, Westworld, Glow, the handmaids’ tale, Pose, Mary Poppins ‘return…. A veteran in the production of star-studded events, Nathalie Dubois, President and CEO of DPA, has proven herself to be exceptionally innovative and successful in the realm of celebrity gift suites. Originally from France, Nathalie Dubois attributes her success in part to her world travels and the exotic cultural influences of the products she picks for her unique gift suites. “Celebrities want new and exciting products — products that are exotic. They don’t just want the same thing at every suite,” says Nathalie Dubois. With products, designers and treatments from all over the globe, Nathalie Dubois puts on the best show in town. DPA opened its first Asian office in Tokyo, Japan in 2017. Take a closer look at these pictures – beautiful, aren’t they? But which is upside down and which is right side up? To be honest, they blow our minds a little bit and give us pause to think about reflections. It’s a good time of year for reflecting – whether it’s trees in a river or of our choices in life. How can we be sure that we live true to ourselves and not get caught up in some kind of inverted view? So, we choose to reflect our values and use only natural products for our soaps and while we’re at it, we will reflect another cherished ideal, excellent customer service. We will continue to self-monitor, but never doubt how important your input and comments are. We are grateful for each and every one of you. PS: We would love for all of you who have used our soaps to let us know which picture you think is the original – the left one or the right one and/or leave a review on our Facebookpage if you so choose. There’s something supremely special about the perfect berry. It could be any kind – strawberry, blackberry, cranberry – but for us, it’s the blueberry. Okay, we’re from Maine so you might think of course we’d say that. But honestly, have you ever had the perfect stack of blueberry pancakes? Truthfully, that’s a taste of heaven! Did you know that blueberries are considered a superfood? From helping maintain healthy bones to being the king of antioxidant foods, blueberries are filled with nourishing goodness. They are low in calories, high in fiber, and simply loaded with nutrients. Remarkably, their treasures can be experienced in other ways as well, such as in face masks. But it’s the blueberry fiber that excites us — it adds just the right texture for a mild exfoliant in MAINE ISLAND SOAP’s Blueberry bar. Because we haven’t found an all-natural blueberry essential oil, this soap is one of three unscented bars in MAINE ISLAND SOAP’s collection. It’s certainly something to consider for those who might prefer odorless products. PS: We would love for all of you who have used our soaps to share how you like blueberries and/or a review on our Facebook page if you so choose! Do you reach for Vitamin C rich oranges during cold and flu season? Or use lemon scented dishwashing soap? While it’s obvious that oranges and lemons have much in common, do you know that cloves also share similar characteristics? For instance, they all have Vitamin C, are considered germ killers, and freshen the air. The essences of these plants’ fragrances are captured in the essential oils used in MAINE ISLAND SOAP’s Citrus, Clove ‘N Corn bar. Of course, we are aware that many of our customers like the ability to scrub a bit, so we add organic cornmeal to give a little grit. We hope the fresh scent lightens your mood and brings a smile to your face. PS: We would love for all of you who have used our soaps to share how you lighten your mood when you need a pick-me-up and/or a review on our Facebook page if you so choose! We wish you had seen our workshop when we took over MAINE ISLAND SOAP. It was bit of living life on a wing and a prayer. On a typical day, we had a two-burner hotplate on a table top, heating a lobster pot of coconut oil to just the right temperature. Certainly didn’t give us much of an opportunity to expand. Ah, but those days have come and gone. Let us get to the point – well Hotpoint actually. Check out our “new” old Hotpoint – a circa 1952, bubblegum pink stove. Does it bring back memories of your grandparents’ or maybe even your great-grandparents’ kitchens? Besides making us smile every time we look in the corner and see bubblegum pink, this stove gives us space to test out new recipes. Just wait till you see what we have in store for the holiday season! PS: We would love for all of you who have used our soaps to share your favorite story from your grandparents’ kitchen and/or a review on our Facebook page if you so choose! Ahh! The smells of the holiday season are upon us. Take a deep breath — whether it’s hot mulled cider with a hint of cinnamon, an apple pie baking in the oven, or a wood fire burning in the fireplace, this time of year is filled with aromas stimulating our senses. In Maine, it’s the crisp, clean smell of pine that fills the air and the Maine Island Soap Shoppe is no different with Katahdin Pine as the newest addition to our array of soaps. Just another touch of Maine goodness to spruce up your holiday season. PS: We would love for all of you who have used our soaps to share a favorite holiday recipe and/or leave a review on our Facebook page if you so choose! One World. Many Lives. Our Choice. Six words. Just six words sum it all up. Certainly, we could choose others – civility, kindness, giving, respect, compassion, hope – but “One World. Many Lives. Our Choice.” captures it all in a powerful and inspiring way. In our hearts, this message reminds us that we may all be different, with conflicting views on many things, but caring about others is a big part of who we are and what we want MAINE ISLAND SOAP to be. Any remaining Honey & Oats bars are discounted and currently available in our shop. A new recipe with locally sourced, organic maple syrup is already being tested. More info to come! PS: We would love for all of you who have used our soaps to share a way you have honored another person and/or a review on our Facebook page if you so choose!